At this time of year, the sun sets fast in St. Petersburg. Its reputation as a city is one that includes a frosty climate, and visitors to the breathtaking Krestovsky Stadium are instantly put at a slight psychological disadvantage when faced with the other-wordly stadium teetering delicately on the icy shores of the Bay of Finland. 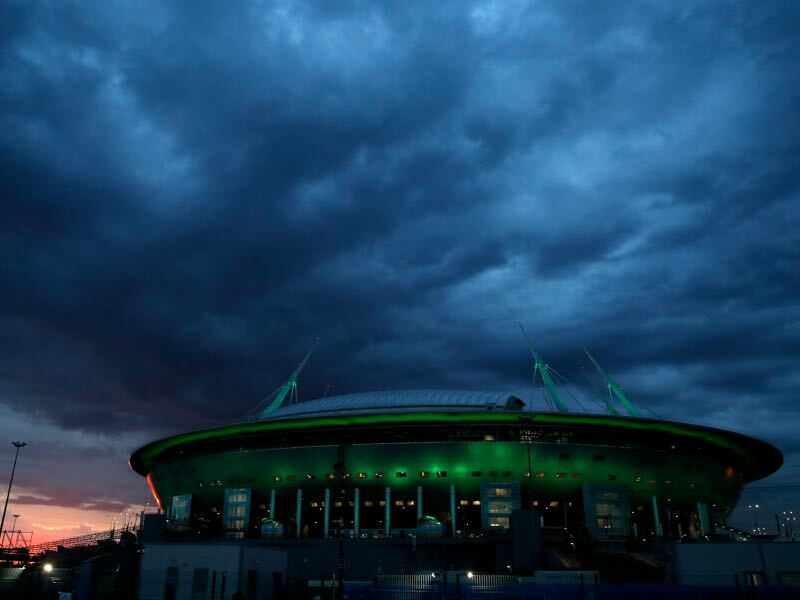 The retractable roof will almost certainly be closed to provide a very different atmosphere inside the ground for the visit of Copenhagen, as it was at the weekend against Rostov, but by then the first mental blows will already have been taken. This aura extends to the team itself. Perennial heavyweights at this stage of the competition, even when off form Zenit have a quality of perseverance that few visitors can match. Against Slavia Prague they were outclassed for almost the entire match, but could still muster a sensational through-ball from Leandro Paredes and a cool finish from now-jailed former wunderkind Aleksandr Kokorin. The Europa League record for longest unbeaten home run from group stage onwards is earned from a resilience like this. Watch the biggest games in the Champions League. Book your custom European football travel tour by visiting Nickes.com! Zenit are ever so slightly starting to show signs of weaknesses domestically, though, if one looks past the superficial results on paper. 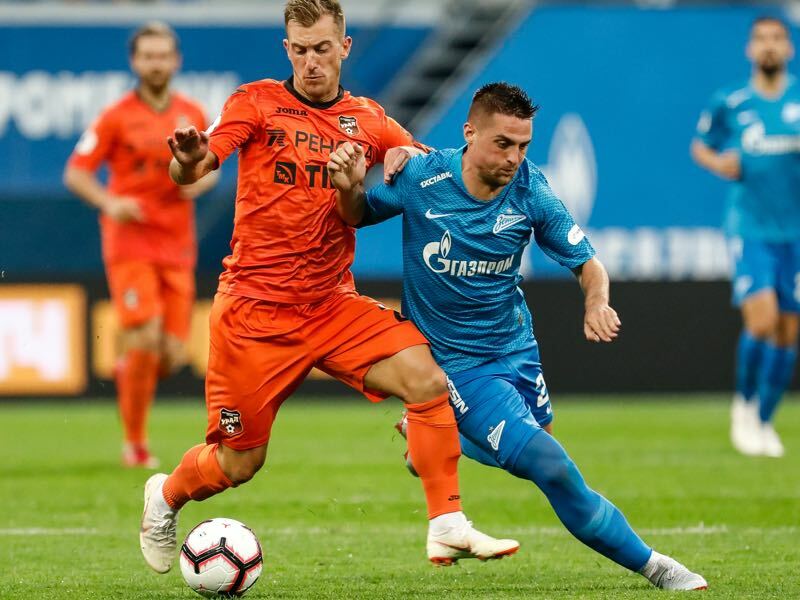 Two wins from their last five competitive matches is hardly a crisis, but at the time of year when Zenit traditionally crumble it has allowed their title rivals the scent an opportunity. Being knocked out of the Russian Cup will matter little to the hierarchy who care about one thing: European success. Although this match represents about as solid an opportunity to secure passage as possible – a win, or goalless draw, guarantees knockout football – it is still a hurdle that must be jumped. What changes he will make remain to be seen. Star winger Viktor Fischer is unavailable through injury in a big blow, which will also limit Copenhagen’s attacking options. The system Solbakken has largely employed involves playing two striker up front, usually club legend and former Lokomotiv Moscow forward Dame N’Doye. To do that without his most electric wide man, however, might be risky, so perhaps by ‘change a little’ he is referring to the system. With Slavia Prague two points ahead, matching their result will be imperative going into the final matchday. 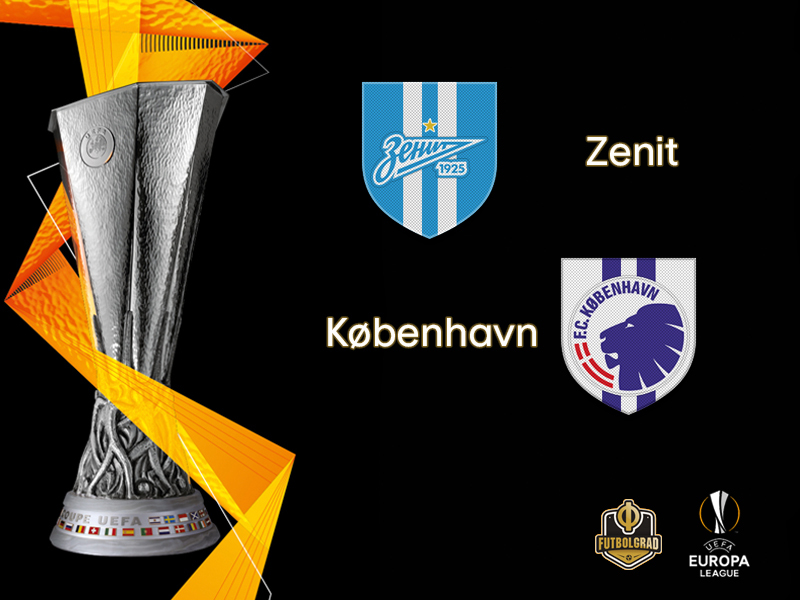 Bordeaux have a mathematical chance but must win both their final games and hope that Zenit are motivated to win away in the Czech Republic on matchday six. Winning next to the perishingly cold waters surrounding the Krestovsky this week would be the perfect tonic to keep Group C simmering right to the end. The Slovakian winger has not had everything go his way since arriving in Russia. Initially, he was very much a bit-part player handed substitute appearances at best, but this season he has flourished. It was his goal that gave Zenit a share of the spoils in the Danish capital on matchday one. His direct running style sets opposition defences on the back foot and provides a more tangible supply line for a target man in the middle, as opposed to a dribbler like Sebastian Driussi on the other flank. He provides an effective foil for his younger, more elusive teammates by occupying defenders for a fraction longer. The Senegalese striker is a club legend, and for good reason. Despite approaching his 34th birthday in February, he is one of only two players to have started every league game, a testament to his fitness levels. He is the all-time top goalscorer for the club despite having only completed four full seasons there. 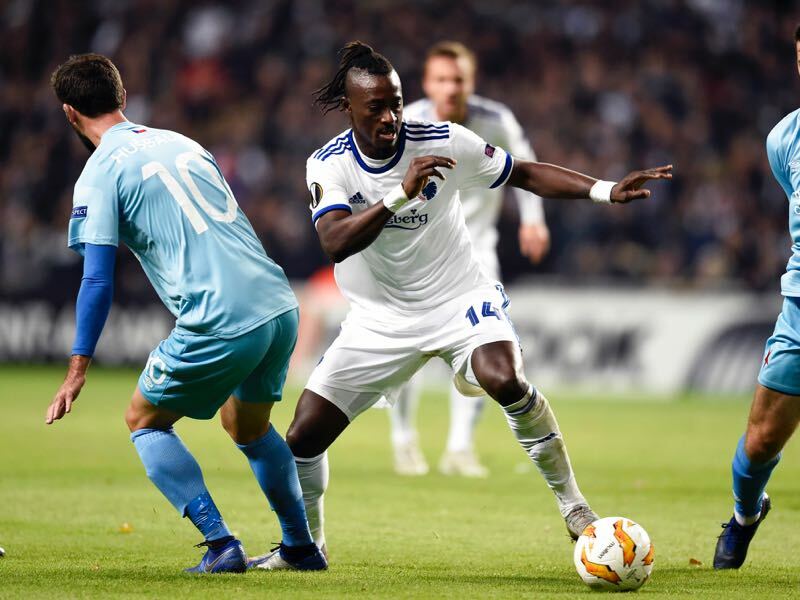 His acrobatic athleticism is perhaps most obvious talent that sets him apart – his stunning goal against bitter rivals Brondby a decade ago was voted the most important moment in Copenhagen’s club history, and was a remarkable feat of balance and flexibility. As a former Lokomotiv Moscow forward, he is not new to Russian surroundings.